Q: What is there to do when the public have gone home? A: Joining the Sealed Knot is not just about re-enactment, it’s also about meeting new friends. The public only see us on the battlefield for a couple of hours then return home thinking we do the same. It couldn’t be more different. We actually return to what’s affectionately named the ‘plastic camp’, which is a normal campsite with allocated slots for each regiment. Here you will find a selection of very good food traders selling anything from a curry to baked patotoes or authentic cooking – you could of course cook your own food, but a quick burger usually sorts out hungry troops after a battle. Near the food stalls is ‘Traders Row’, a tented village of suttlers selling period clothes, swords and armour, muskets and small arms, 17th century jewellery, period hats and so on. Above all there is a beer tent, a temple where re-enactors worship the great god ale. This is a freehouse which sells a fine selection of wines and ales and its here where the fun really starts! 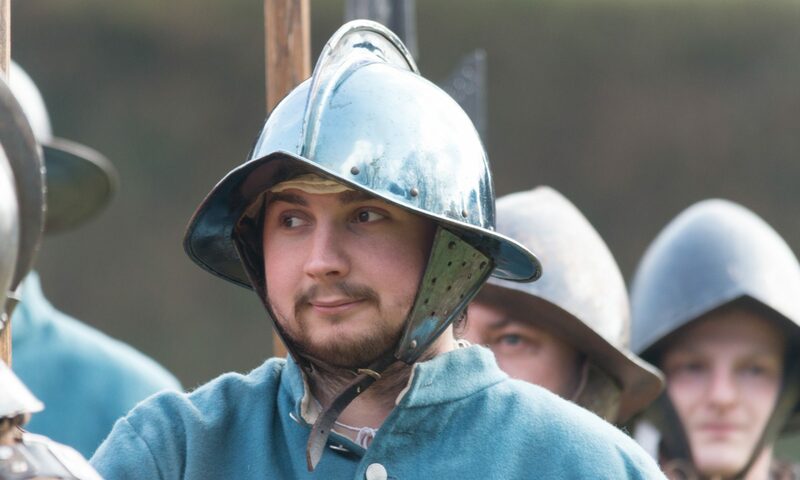 On one night there will be a disco and the other a live band and sometimes a fancy dress competition, though no prizes are given for turning up as a 17th century soldier! Singing, dancing and general merriment.